Selling Advertising Space in your cookbook can often more than pay for printing costs. 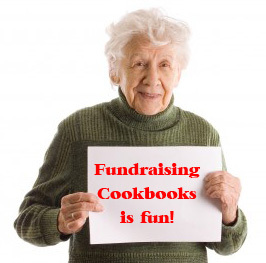 You can greatly increase the amount of profit generated from cookbook sales by contacting merchants for local sponsorship. Fundcraft will Prepare the Ads for Printing. 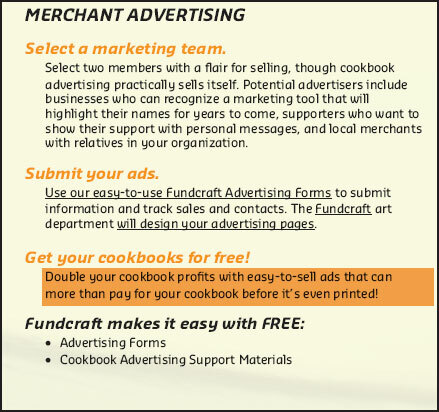 There is a per page charge for Fundcraft to prepare and print ads in your cookbook. The ads will be similar to those featured in the telephone yellow pages and will be placed in one section at the back of the cookbook. Just Collect the Information from the merchant and give us the ad size for each - a booster ad (single line of text), an eighth page, sixth page, quarter page, third page, half page or a full page ad. *Note: You can double your cookbook profits with easy-to-sell ads that can more than pay for your cookbook, before it's even printed. Ads containing photos or grayscale logos are limited to one-third page or larger. Ads containing black and white line art logos are limited to one-fourth page or larger. Ads of one-sixth or one-eighth page will be text only. Please refer to our artwork submission guidelines for more information. 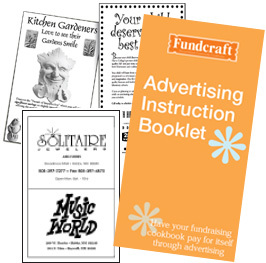 Fundcraft provides a FREE advertising instruction booklet, which includes advertising receipts and ad layout forms. 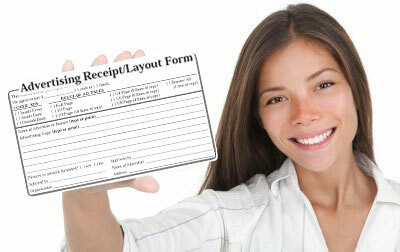 The Free Advertising Kit can be ordered by simply returning the Supply Request Card. Download the Forms. 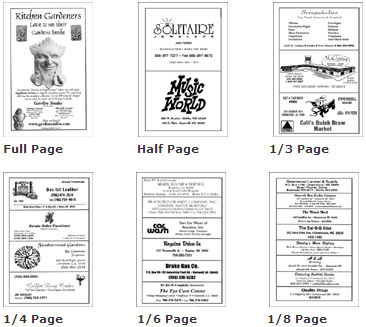 The Merchant Advertising Forms and AD Templates can also be printed from our website [ download page ].